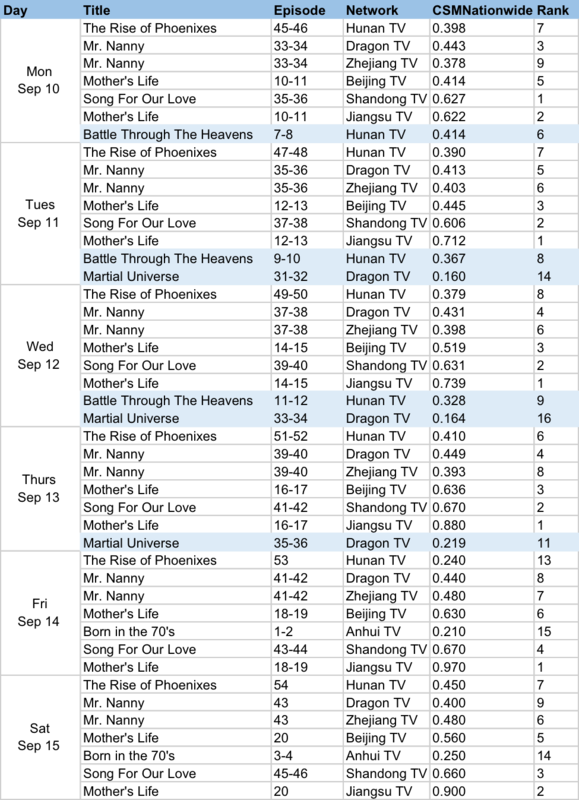 The Rise of Phoenixes ended last night with CSM52 ratings of 0.569%. The poor nationwide ratings no longer come as a surprise though the show has just gotten a second life as it premiered on Netflix last Friday. It may not have turned into a hit in China, but who knows, it could still make it big in the rest of the world. Lading lady Ni Ni has managed to stay on the weekly web rankings for the third week in a row. Meanwhile, the rest of the placements have been rather predictable. Similar to last week, Mr. Nanny leads primetime with numbers past 1.0%. The show has also just ended last night. Mother Life's follows suit to break 1.0% in not one but two channels where it is being aired. Quite expectedly, Ruyi's Royal Love in the Palace has rightfully become the leading drama online. Ashes of Love and Story of Yanxi Palace which were the big dramas during the summer still round up the top three. I think next week All Out Of Love will do well on both TV and online especially on TV. I just hope the story telling is somehow coherent for 70eps when this is just a melo drama. It would be such a waste if this ends up super messy given that you have Wallace and Ma Tian Yu. Age of Legends is premiering on the same day too. 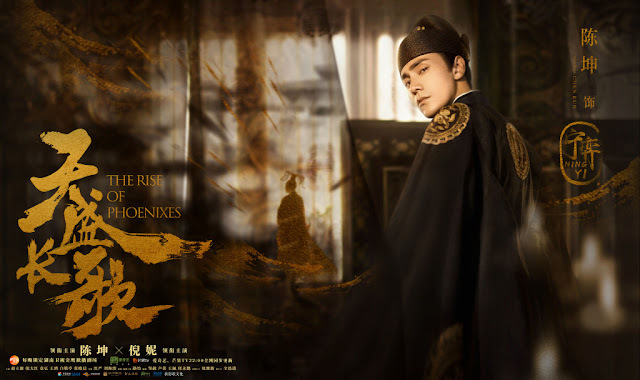 I just started to watch The Rise of Phoenixes on Netflix - only saw the first 2 episodes. It's beautifully shot and so very political! So far Ni Ni comes across great. Chen Khun is slightly over-acting and I hope he can adjust accordingly because it's jarring. I've read the first half of the novel and it's really a different take on the source material. I need to watch more before comparing but so far so good. 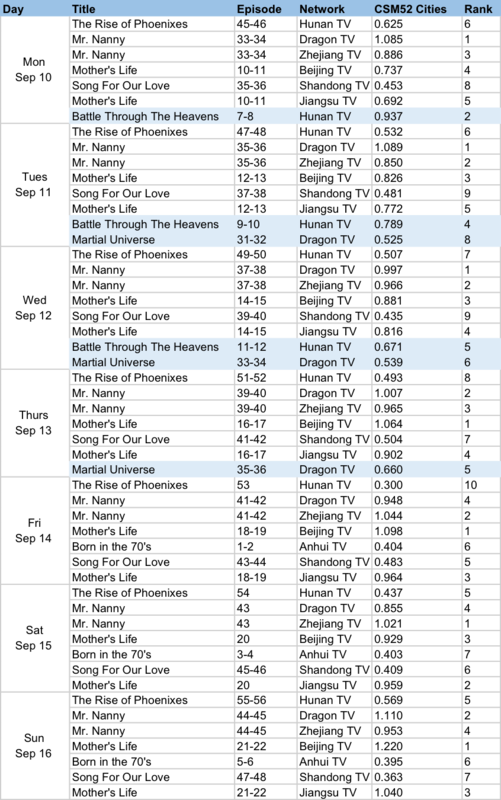 Too bad it's not doing well in China and I wonder if Netflix will trim down the episodes but I hope not.